This combines my most popular items to really give you the feminine curves you have been looking for. This set really can improve your waist / hip measurement by up to 8". 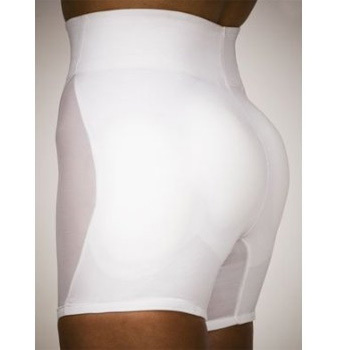 The corset will shrink your waist by 3-4", and the padded rear and hip brief will add 3-4" to your hips/bottom. That will enhance your Hip/waist measurement by 6-8" !! Please note: corsets are sized with the laces FULLY CLOSED. please select a waist size approximately 4" less than your normal waist size (please be honest), so a 32" corset will fit someone with a 36" waist.